A longtime favorite of the flooring world, carpet remains a much sought-after and ever-inviting addition to all types of homes and businesses. With its incredible ability to provide an instant facelift to your favorite space, carpeting is also warm, comforting, and insulating. At Carpet One Floor & Home of Wilmington, NC, one of our favorite pastimes is helping new customers find the perfect carpet product, based on tastes, budget, and needs. Let’s take a closer look into the world of carpeting, and learn a little more about which types of carpet are right for you and your family. Are you looking for a floor that will instantly alter your room’s look and feel? Carpeting does exactly this, while presenting many, many different options. There are carpets made for pet owners, and carpets made especially for hotel lobbies. Truly, carpet offers up something for everyone. With more choices in carpeting than ever before, there are definitely carpets that suite just about any need or taste. Since not every carpet is made alike, it makes sense to consider your needs, preferences, and desires before you start actually shopping. Perhaps the most important factor of a carpet’s construction is its pile. Carpet pile, or fibers, is the woven threads comprising your rug, and these determine your carpet’s performance abilities. There are synthetic and natural fibers, including pile made out of polyester, nylon, and wool. Frieze or “shag” carpet pile is a nice option for those who like trendier styles. Shag rugs have unruly, twisted yarns that are extremely soft, so they’re a good addition for casual rooms. Level loop carpet pile is always a practical choice for rooms that are frequently treaded upon. Level Loop rugs have shortened, looped fibers, which are uniform in appearance. Patterned carpet pile is a very good carpet style for highly formal settings, since its loomed and trimmed fibers form elegant, intricate patterns. Textured carpet pile is perfect for busy households, since its longer pile and rough texture readily hides stains and soiling. Plush carpet pile is best reserved for formal rooms that aren’t prone to frequent footsteps. Plush pile looks and feels like luxurious velvet fabric. At Carpet One Floor & Home of Wilmington, NC we carry one of the area’s finest carpeting collections. With a vast array of brands and styles, we are proud members of the nation’s largest cooperative of independent flooring stores. This allows us to always offer you unbeatable buying power, warm and welcoming service, and competitive prices. 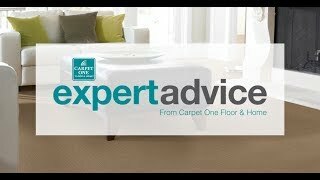 Take a closer look at some of our top carpet brands. From bold and bright, to neutral and subdued, our carpeting is always right on trend. If “natural” and “sustainable” are some of your favorite adjectives, you will love wool carpeting. Wool carpeting is luxuriously colorful, ever enduring, and can also be a godsend for allergy sufferers. Sunlight streaming through your windows can cause your carpet to fade over time, but with these easy tips, you can keep your rug newer for longer.